Schiphol is the biggest Dutch airport and one of the most important airports in Europe. With more than 63.5 million passengers, Schiphol is one of the busiest airports in Europe. Are you looking for quality taxi company for your taxi to go to Schiphol. Taxi Airport Boeken is for many years the taxi company for transport to and from Schiphol. Our skilled drivers who have years of experience in this sector can safely bring you to the airport. If you are going on a business trip or just want to go on holiday, let yourself be driven by one of our quality taxis. We take into account the traffic, so that we leave on timeEasy pre-paymentThe journey starts from the front door when you board our ship’s taxi. 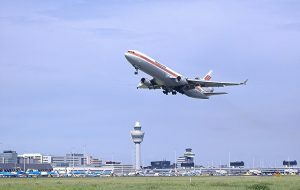 You must be at least 2.5 hours ahead of Schiphol so you can be sure that you will not miss your flight and will arrive at your destination in time. If you have landed at Schiphol before you pick up the suitcases from the baggage claim, call our taxi center +31(0)23 844 77 77. When you have called the taxi at departure hall 3 (top) outside track. The driver who comes to pick you up will contact you and tell you the color and license plate of the taxi (please keep an eye on your phone).